Código interno: 398312. Amortiguador trasero izquierdo LAND ROVER FREELANDER 2.0 Di XE Familiar, Año: 1999 RPB101650 22103901. Wir können es überprüfen. Nous pouvons le vérifier. 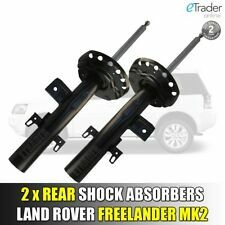 LAND ROVER FREELANDER 2 06-15 REAR SHOCK ABROSBERS X2 PAIR (LH&RH). These are handed, supplied 1 x LH REAR & 1 x RH REAR Shock absorber. WE CAN USE THIS TO CHECK YOU ARE ORDERING THE CORRECT PART ! 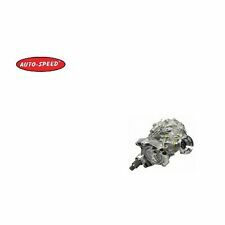 TO FIT: RANGE ROVER SPORT L320 4.2 / 4.4 PETROL V8 AND 2.7 DIESEL V6 MODELS FROM 2005 - 2009. GENUINE LAND ROVER PART. PART NUMBER: 22227491 / 3498720 / RNB500223. IN USED CONDITION AND FULL WORKING ORDER. Amortiguador delantero izquierdo MG ROVER MG ZS ZS 120, Año: 2003. Código interno para información: 1048387. Ofrecemos atención rápida, personalizada y envíos a toda España. Recambios de ocasión. -Búscanos en: Camino de la Estación n 15, Catral (Alicante). Código interno: 248977. Wir können es überprüfen. Nous pouvons le vérifier. Código interno: 224375. Wir können es überprüfen. Nous pouvons le vérifier. Código interno: 263198. Amortiguador delantero derecho MG ROVER SERIE 600 2.0, Año: 1995. Wir können es überprüfen. Nous pouvons le vérifier. Part No : BR2255A-ser & STC786. Land Rover Series 2a & 3 vehicles. L R Parts Ltd is an authorized Bearmach distributor, we specialize in new Land Rover Spares, stainless steel bolt sets for Land Rovers and general maintenance parts. Código interno: 1197777. Amortiguador trasero izquierdo LAND ROVER FREELANDER E Targa, Año: 2003 22190235L. Referencia : RPB000050, Observaciones: 22190235l. Wir können es überprüfen. Nous pouvons le vérifier. Código interno: 1197778. Amortiguador trasero derecho LAND ROVER FREELANDER E Targa, Año: 2003 22190234R. Referencia : RPB000040, Observaciones: 22190234r. Wir können es überprüfen. Nous pouvons le vérifier. LAND ROVER DISCOVERY 1 STANDARD FRONT TWIN SHOCK TURRETS COMPATIBILITY: LAND ROVER DISCOVERY 1 (1989-1998) LAND ROVER DEFENDER - ALL MODEL YEARS RANGE ROVER CLASSIC All model years – excluding models with Air Suspension Sometimes off-road conditions can be serious enough to test the standard equipment on your Land Rover to its maximum One of the critical components that takes most of the abuse is the suspension system. When using the standard single shock absorber configuration it is not unknown for the shock absorber to break the factory fitted turret mount. These shock absorber turrets from Britpart give you confidence that your vehicles suspension will tackle the terrain you take it through with greater ease. The single shock absorber turret is manufactured from . LAND ROVER DISCOVERY 2 TD5 & V8 TERRAFIRMA FRONT & REAR. FULL SET OF 4 TERRAFIRMA SHOCKS TO FIT. DISCOVERY SERIES 2. SHOCK ABSORBER SET. Amortiguador delantero derecho MG ROVER MG ZS ZS 120, Año: 2003. -Búscanos en: Camino de la Estación n 15, Catral (Alicante). -Horario: 08: 30 - 14: 00 y de 16: 00 - 20: 00. Ofrecemos atención rápida, personalizada y envíos a toda España. ROVER P6 ALL MODELS, REAR SHOCK ABSORBER BUSHES - SET OF 8. Código interno para información: 1053753. Atención rápida, envíos a toda España. –Estamos en: Camino de la Estación n 15, Catral (Alicante). -Horario: 08: 30 - 14: 00 y de 16: 00 - 20: 00. Amortiguador delantero izquierdo MG ROVER MG zt 190, Año: 2003. Referencia : RND000341. -Búscanos en: Camino de la Estación n 15, Catral (Alicante). -Horario: 08: 30 - 14: 00 y de 16: 00 - 20: 00. Ofrecemos atención rápida, personalizada y envíos a toda España. Código interno: 894523. Amortiguador trasero izquierdo LAND ROVER freelander 2.2 td4, Año: 2007 LR005573. Referencia : 6H5218K004AE. Wir können es überprüfen. Nous pouvons le vérifier. 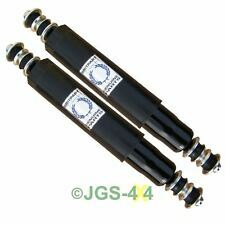 Land Rover Discovery 1 Front & Rear Shock Absorber Set. Land Rover Discovery 1, (1994-1998). Discovery 1 Shock Absorber Set. Land Rover Parts & Accessories. Land Rover Parts. Discovery Parts. Series 2 & 3 - Defender 90/110/130, Discovery 1,2,3,4,5 & Sport - Freelander 1 & 2 - Range Rover Classic, P38, L322, L405, Sport & Evoque. Amortiguador delantero derecho LAND ROVER RANGE ROVER SPORT v6 td s, Año: 2007. Referencia : RNB501620. Vendemos vehículos preseleccionados de nuestra flota asociada. Nós podemos verificar isso. Wir können es überprüfen. LAND ROVER DISCOVERY 1 PLUS 2" FRONT TWIN SHOCK TURRETS 2” Extra Height Front “Twin” Shock Absorber Mounting Set COMPATIBILITY: LAND ROVER DISCOVERY 1 (1989-1998) LAND ROVER DEFENDER - ALL MODEL YEARS RANGE ROVER CLASSIC All model years – excluding models with Air Suspension Sometimes off-road conditions can be serious enough to test the standard equipment on your Land Rover to its maximum One of the critical components that takes most of the abuse is the suspension system. When using the standard single shock absorber configuration it is not unknown for the shock absorber to break the factory fitted turret mount. These shock absorber turrets from Britpart give you confidence that your vehicles suspension will tackle the terrain you take it through with greater ease. The. Código interno: 1184364. Amortiguador delantero izquierdo LAND ROVER FREELANDER E Targa, Año: 2003 22190618L. Referencia : RND000150, Observaciones: 22190618l. Wir können es überprüfen. Nous pouvons le vérifier. Land Rover Defender to TA970049. Land Rover Discovery Series 1 to LA081991. 2 HOLE BUMP STOP / REBOUND STOP FOR REAR SUSPENSION. Not Ideal for Air Suspension, for EAS models the 4 Hole front bump stop part number is NTC6085 (Now Genuine Landrover Only) and 2 Hole rear is NTC6086. Código interno: 917002. Amortiguador delantero izquierdo LAND ROVER DISCOVERY TD5 E, Año: 2002 RNB103694. Referencia : RNB103533. Wir können es überprüfen. Nous pouvons le vérifier. AMORTIGUADOR TRASERO IZQUIERDO LAND ROVER DISCOVERY V6 TD S, Año: 2004, NEUMATICO. Referencia : 22214641. Observaciones: NEUMATICO. Nós podemos verificar isso. Wir können es überprüfen. Part number for reference only:LR533 / NRC6372. You are viewing a top quality UK made (using identical materials to the original part) front shock absorber for Land Rover Defenders. (90/110/130). Land Rover Discovery 1s (1989-1998). LAND ROVER DEFENDER TERRAFIRMA. FULL SET OF 4 TERRAFIRMA SHOCKS TO FIT. DEFENDER 90 110 130. FRONT & REAR SHOCK ABSORBER SET. RANGE ROVER CLASSIC. 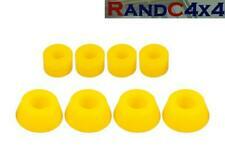 These are suitable for all Land Rover Freelander 1 models. Add to Favourites. Amortiguador delantero derecho LAND ROVER DISCOVERY TD5 E, Año: 2002 RNB103694. Referencia : RNB103533. Código interno: 917003. Wir können es überprüfen. Nous pouvons le vérifier. RANGE ROVERCLASSIC GALVANISED FRONT SHOCK TURRET SET WITH FIXINGS **WILL ALSO FIT DISCOVERY 1 AND DEFENDER 90/110/130** PART NUMBER - DA1186 Manufacturers part numbers are used for identification purposes only. **** PLEASE READ OUR WARRANTY, RETURNS DELIVERY TERMSBEFORE BUYING. THIS IS A QUALITY BOGE PART AND NOT A CHEAP IMPORT. LAND ROVER DISCOVERY 1 2.0,3.92.5tdi 1994 to 1998. NEW FRONT SHOCK ABSORBER TO FIT THE FOLLOWING>. THE COMPATIBILITY IS NOT ALWAYS 100% CORRECT.